Nothing else compares to perfectly shaped ice cubes. 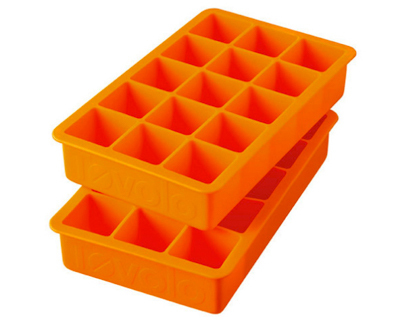 These durable, set of 2 silicone trays produce well-formed one inch cubes. Our silicone trays not only make ice but try freezing broth, juices, stock, baby food, and much more. Each cube slides out without a fight.